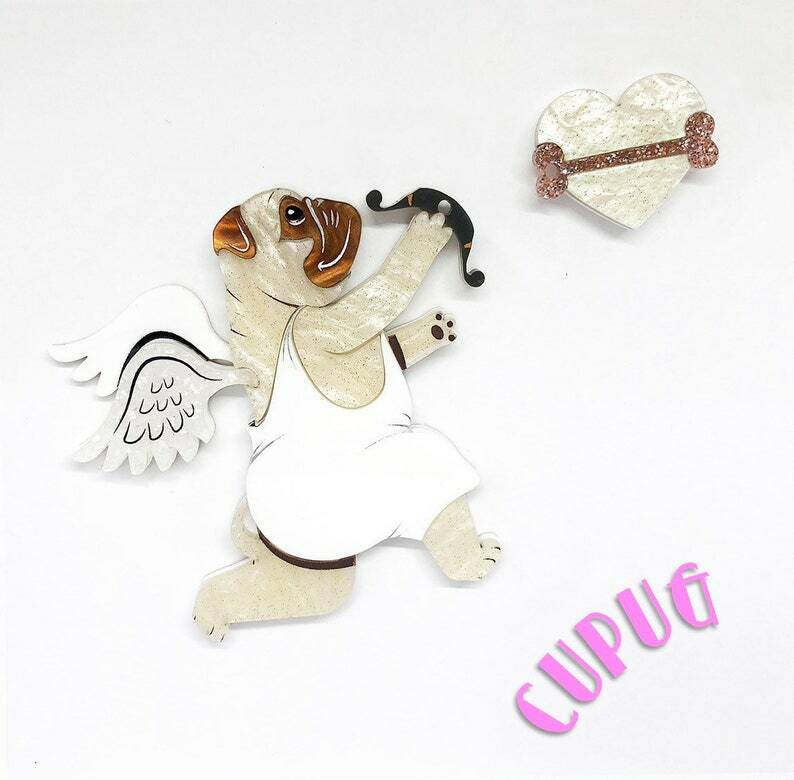 MADE TO ORDER - Laser cut glittery pearl "Cupug" two piece brooch cupid pug dog with love heart bow and bone arrow. Available in either red or white toga. This cute little puggy cherub is shooting little loving bone arrows into those who wear him. Made from layered acrylic. It is designed, etched, handpainted and assembled by us. Approximately 7 cm wide and 7cm tall (main cupug part) with a brooch back attached to the back. Love heart and bone arrow brooch (attached by chain) is approximately 3cm wide. LOVE THIS! Received a ton of compliments, thank you!